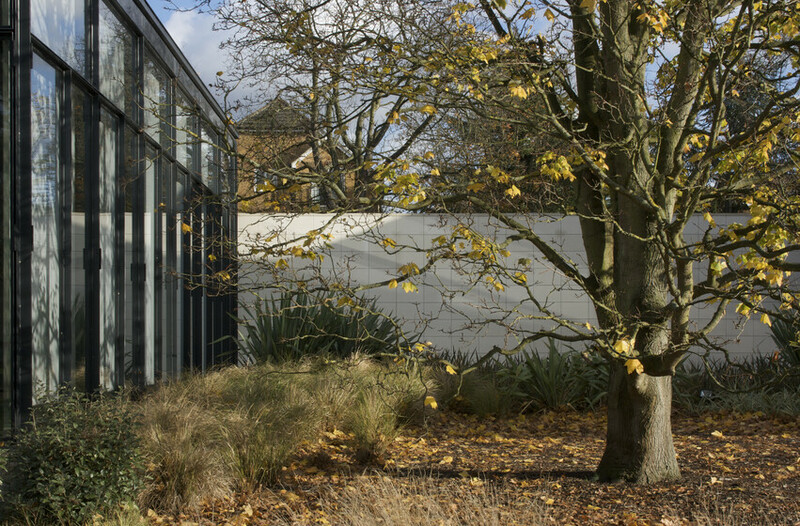 The Shirley Sherwood Gallery was built in response to Kew’s requirement to exhibit more art and to complement the successful Marianne North Gallery collections. 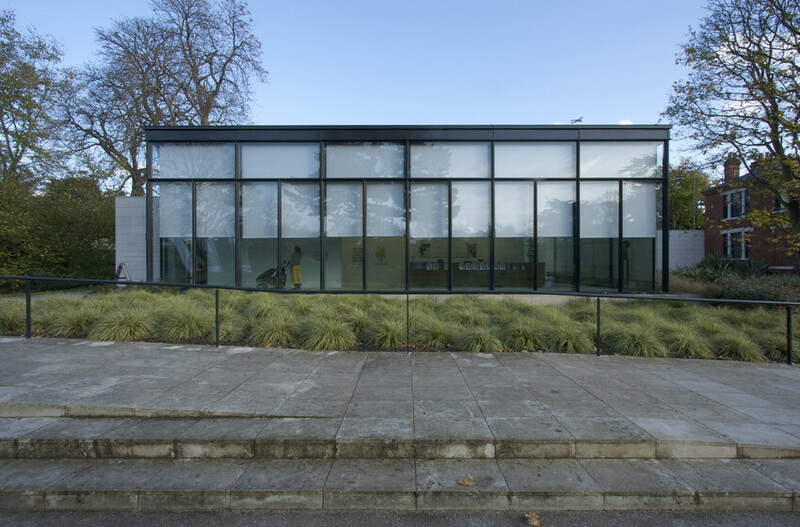 The architect designed a gallery space that could be blacked out from daylight but also provide unobstructed views across the gardens. 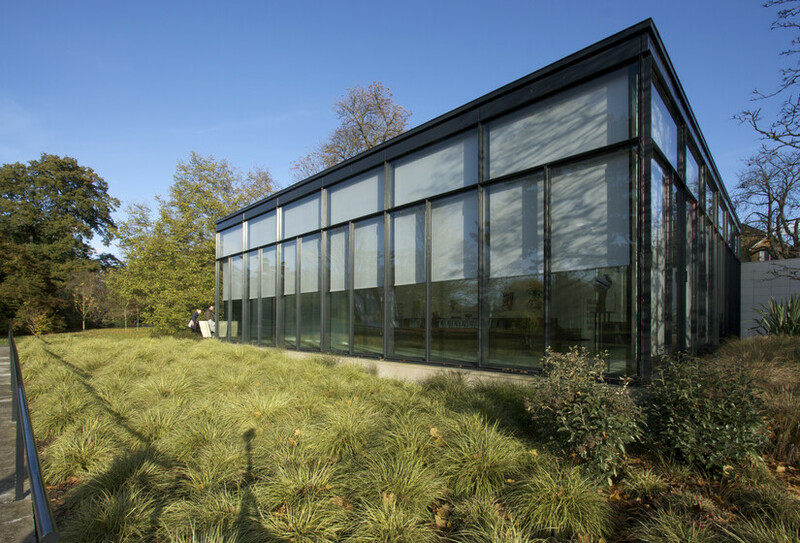 The external glazed façade is a triple glazed construction with solar blinds integrated and a gap to allow ambient air to flow through removing excess heat during the summer months. 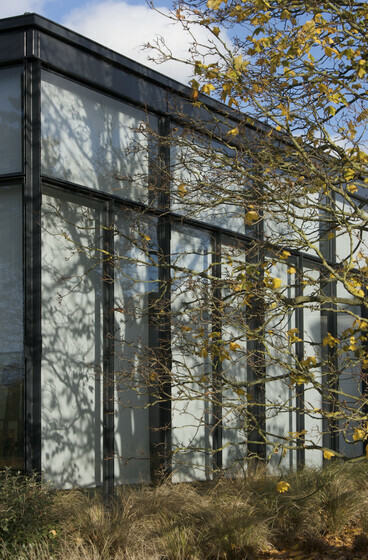 The external glazed façade is a triple glazed construction with solar blinds integrated and a gap to allow ambient air to flow through removing excess heat during the summer months. 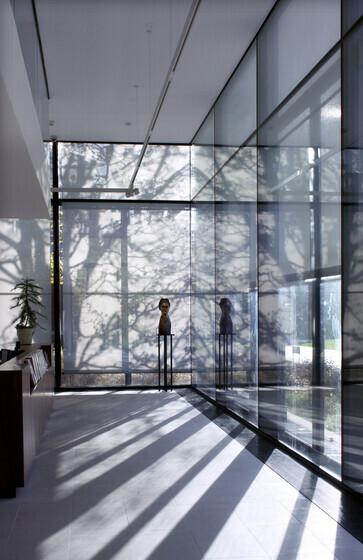 The gallery’s internal environment is closely controlled by an efficient air handling unit located under the building. This unit delivers air to the space via displacement terminals located within the floor, and also accommodates the power sockets and data points. The gallery is served by a ground source heat pump that provides efficient heating and cooling energy to the air handling unit. The lighting system has an integrated control system to allow light levels to be adjusted to suit the art work or exhibition.